The talks will be held in Brussels. Ukrainian President Petro Poroshenko and Dutch Prime Minister Mark Rutte have agreed over the phone to meet in Brussels in October. According to the Ukrainian president's website, the parties coordinated positions on the ratification of the EU-Ukraine association agreement in the context of the referendum in the Netherlands. 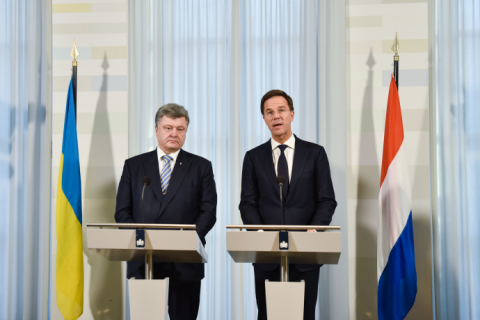 Rutte once again assured Poroshenko that his country supported immediate provision of the visa-free regime for Ukrainians and continuation of sanctions against Russia. On 6 April, 61 per cent of those who came to the polls in the Netherlands voted against the ratification of the EU-Ukraine association agreement. The results of this referendum are non-binding.